Were you looking for Employment Law - New Jersey or Workers Compensation lawsuits? New Jersey workers' compensation is a no-fault insurance system that allows workers of covered employers who are injured in job-related activities (or suffer job-related illnesses) to recover missing wages, and obtain medical treatment and/or compensation for permanent disabilities. Because New Jersey workers' compensation is no-fault, employees receive their workers' compensation benefits no matter whose actions caused the injury or illness. In cases where benefits are unreasonably delayed or denied, employees may be eligible to file a workers' compensation appeal to assert their rights. Send your New Jersey Workers Compensation claim to a lawyer who will review your claim at NO COST or obligation. Under the New Jersey Workers' Compensation Act, workers have the right to receive fair and timely benefits for injuries or illnesses related to their work. Workers who are totally and permanently disabled are eligible to receive certain benefit payments as well, depending on the nature of the disability. Among the benefits employees are entitled to are medical benefits, temporary total benefits for disability that lasts for more than seven days, permanent partial benefits, and permanent total benefits. Dependents are eligible for death benefits if the worker dies as a result of the injury or illness. Unfortunately, employees who have legitimate claims may find their New Jersey workers' compensation benefits are unreasonably delayed or denied. In such cases, the employee may be eligible to file an appeal to assert his or her rights to workers' compensation benefits. 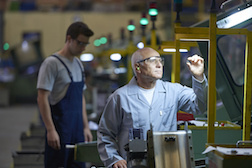 If the injured worker and the employer or insurance carrier dispute the workers' entitlement to benefits, the worker can file a claim petition or application for an informal hearing to have the case heard by a judge and district office. Even if the employee was injured on the job, if there is evidence that a third party's negligence caused the injury—for example, if the equipment the worker used was defective—a personal injury lawsuit may be able to be brought against that third party if it cannot be settled through insurance. If the worker is successful in the lawsuit, however, he or she will have to pay back money provided by workers' compensation, as New Jersey law prohibits double recovery.